We’d love your help. Let us know what’s wrong with this preview of Tales of Jack the Ripper by Ross E. Lockhart. 1888: A killer stalks the streets of London’s Whitechapel district, brutally—some would say ritualistically—murdering women. With each slaying, the killer grows bolder, his crimes more extreme. So far, there have been five victims (that we know of): Mary Ann Nichols, Annie Chapman, Elizabeth Stride, Catherine Eddowes, and Mary Jane Kelly. The story of Jack the Ripper captu 1888: A killer stalks the streets of London’s Whitechapel district, brutally—some would say ritualistically—murdering women. With each slaying, the killer grows bolder, his crimes more extreme. So far, there have been five victims (that we know of): Mary Ann Nichols, Annie Chapman, Elizabeth Stride, Catherine Eddowes, and Mary Jane Kelly. The story of Jack the Ripper captured lurid headlines and the public’s imagination, and the first fictionalization of the Ripper killings, John Francis Brewer’s The Curse Upon Mitre Square appeared in October of 1888, mere weeks after the discovery of Jack’s first victim. Since then, hundreds of stories have been written about Bloody Jack, his victims, and his legacy. Authors ranging from Marie Belloc Lowndes to Robert Bloch; from Harlan Ellison to Maureen Johnson; from Roger Zelazny to Alan Moore have added their own tales to the Ripper myth. Now, as we arrive at the quasquicentennial of the murders, we bring you a few tales more. To ask other readers questions about Tales of Jack the Ripper, please sign up. Ross E. Lockhart's Tales of Jack the Ripper takes you on a twisting hallucinatory and heart rending journey into the dark Whitechapel nightmare that still haunts us to this day. The terror lives on, undiluted by the passing of the years. More violent crimes have been commited since, it is true, so why does it endure? There is no easy answer, perhaps that in itself, IS the answer. The mysterious timing between murders, the grim setting, the dizzying array of possible motives, the lifestyles of t Ross E. Lockhart's Tales of Jack the Ripper takes you on a twisting hallucinatory and heart rending journey into the dark Whitechapel nightmare that still haunts us to this day. The terror lives on, undiluted by the passing of the years. More violent crimes have been commited since, it is true, so why does it endure? There is no easy answer, perhaps that in itself, IS the answer. The mysterious timing between murders, the grim setting, the dizzying array of possible motives, the lifestyles of the victims...seeming patterns, the earmarks of a good and juicy mystery. The more you look, the more all the pieces seem to start sliding about, forming a dark image at the back fo your mind. It all makes some kind of terribe sense, and as you become more repulsed you become more fascinated, and you think: if only I could get into the killers head, then I'd know, then I'd be able to unravel this tangle of thorns. Horror is not a genre that can be successfully categorized - and part of the appeal of every scary story is the lack of resolution. The best horror leaves you hanging, with the unshakable dread that it's not over yet, that whatever it was that inspired such fear, whoever it was, is still out there - waiting. But stories about the things that lurk in the night are far more comprehensible then bald analyses of the human condition; above all else, we're absolutely terrified by exactly what humanity Horror is not a genre that can be successfully categorized - and part of the appeal of every scary story is the lack of resolution. The best horror leaves you hanging, with the unshakable dread that it's not over yet, that whatever it was that inspired such fear, whoever it was, is still out there - waiting. But stories about the things that lurk in the night are far more comprehensible then bald analyses of the human condition; above all else, we're absolutely terrified by exactly what humanity - what we - are capable of. You would be hard-pressed to locate anyone who doesn't know the story of Jack the Ripper. Time and distance have swollen the legend of the killer who stalked the streets of Whitechapel to immense proportions, but perhaps the mordant fascination of generations can be attributed to one simple fact: the identity and motives of Jack the Ripper remain a mystery. Despite an entire body of exceptionally well-researched works that denounce one man after another as light-heeled Jack, it's doubtful that we'll ever know who dunnit. Tales of Jack the Ripper, edited by Ross E. Lockhart, brings us nineteen spine-tingling tales that attempt to explore the unknowable. Not every story features the eponymous character we can only call `Jack', but each incorporates the macabre fascination that is his legacy. There are stories that unravel the mystery, putting a name and motive to the man who was perhaps the world's first modern serial killer; there are tales dedicated to his gristly legacy and its inheritors. Plausible re-interpretations of historical murders stand side-by-side with modern narratives, might-have-beens, and what-ifs - because something happened, and while we know the what of it, we still don't know the who and how and why. "Ripperology", by Orrin Grey, bucks conventional plot development. Events are described in a factual, businesslike style that lends the story an incredible realism; a pervasive sense of something `not quite right' culminates in a spectacular crescendo. The conclusion leaves you desperate for more; it isn't satisfying in the least, and I consider that part of the story's appeal. "The Butcher, the Baker, the Candlestick-Maker", by Ennis Drake, is one of the most disturbingly delicious stories I've ever had the pleasure of reading. Its' rambling, disjointed narrative, forcibly melded with detailed descriptions, lend the tale a vivacious reality; the juxtaposition of then and now prompts the disquieting realization that there is little difference between the two. E. Catherine Tobler's "Once November" is a lyrical, almost wistful composition that is damn near addicting. The subtle subplots buried in the narrative meld into a glorious, overarching whole that left me outright hungry for more. Violence, the unknown, and the true nature of monsters thread their way through this anthology like spider webs; these stories can be labeled horror, but in an eerie parallel to how Jack the Ripper has outgrown his origins as a flesh-and-blood murderer to become a legend, that's not all they are. Each story is nominally about `light-hearted' Jack or his legacy but in attempting to explain and expand on what happened more then a century ago, they make the Ripper someone the reader can empathize with. In trying to illuminate the unknowable, we make the mystery of Jack the Ripper a window through which we confront ourselves. Full disclosure: the two sonnets that begin & end this anthology are mine. I won't be discussing them in my comments. Emerging just in time for the Ripper's 125th anniversary of terror, Tales of Jack the Ripper is a widely varied anthology of mostly new works. There's something for everyone here, from meticulously researched speculations on Jack's identity (Stanley C. Sargent's "When the Means Just Defy the End," Ed Kurtz's "Hell Broke Loose") to cosmic horror (T.E. Grau's "The Truffle Pig") Full disclosure: the two sonnets that begin & end this anthology are mine. I won't be discussing them in my comments. I had difficulty with two stories which, though well-crafted, were homages to "classic" Ripper tales I hadn't read. I also had a little trouble deducing why two other tales, both by well-known authors, had been included in this anthology. Again, both of these stories were extremely well-crafted . .. I just had trouble finding a strong connection to Whitechapel. In the interest of avoiding spoilers, however, I'll leave the reader to make his/her own determination about these. All in all, this is a solid & strong assortment of mostly fresh Ripper fiction from a promising new press. The production values of the trade paperback are high, & a very affordable Kindle edition is also available. Serial killers hold the title of being the most terrifying form of criminal, yet also the most fascinating. Ed Gein, Jeffrey Dahmer, Richard Ramirez, David Berkowitz, Ted Bundy, and John Wayne Gacy. The crimes they committed were numerous and brutal, and the complete lack of remorse they displayed made them all the more terrifying. While they all had more victims, many killed in a more gruesome manner, they still haven't quite achieved the status of Jack the Ripper. In his story, Ripperology, Or Serial killers hold the title of being the most terrifying form of criminal, yet also the most fascinating. Ed Gein, Jeffrey Dahmer, Richard Ramirez, David Berkowitz, Ted Bundy, and John Wayne Gacy. The crimes they committed were numerous and brutal, and the complete lack of remorse they displayed made them all the more terrifying. While they all had more victims, many killed in a more gruesome manner, they still haven't quite achieved the status of Jack the Ripper. In his story, Ripperology, Orrin Grey's characters ruminate on this, and it seems that what makes the Ripper so legendary is that he (or she) was never caught. There is no face to put to the name. These other killers, once caught under the public spotlight, are just men with some really deep problems. Jack the Ripper remains a boogeyman. There are many theories out there, but the true identity and motives of the Ripper will forever remain a mystery, and with mystery comes power. With this in mind, it's no surprise that editor extraordinaire Ross E. Lockhart chose Jack the Ripper to be the theme of his first publication from his new publishing venture, Word Horde, just in time for the quasquicentennial of the Ripper murders. Tales of Jack The Ripper contains seventeen stories (three are reprints, the rest original) and two poems (both reprints) from many notable weird fiction authors. While there are a few weaker tales, most of the tales are strong enough to carry their weight. Now on to the stories I liked. Of the three reprints, Ramsey Campbell's is the strongest. Jack's Little Friend is a second person narrative, and adds a supernatural twist, that maybe the force driving Jack to kill is a parasite of sorts that can be removed and even latch on to others. In A Host of Shadows, authors Alan M. Clark and Gary A. Braunbeck present readers with a dying, elderly Jack. As death nears, the man who was once the Ripper ruminates on whether or not all the good he has done with his life since is enough to wash away his sins. In more pulpy fashion, Joe R. Lansdale's God of the Razor features an antiques dealer stumbling upon a dark entity that compels people to murder, entering their minds when they cut themselves on a razor. Bits of the story may seem silly, but Lansdale has the voice of a master storyteller and pulls off a creepy little tale. The reprints come early in the book, making way for the originals. Sylvia Morena-Garcia's Abandon All Flesh is about a girl obsessed with a wax museum's rendition of Jack the Ripper. The girl is cold, and indifferent to much of what's going on around her, thoughts of the Ripper being the only thing that seems to draw a reaction from her. Ennis Drake's The Butcher, The Baker, The Candlestick Maker is another exercise in the second person narrative. Drake pens a tale of a man reenacting the Ripper murders, interwoven with other tales of violence, making for a commentary of our violence-saturated culture. T.E. Grau's The Truffle Pig is one of my favorite stories in the collection, and a pure weird fictional take on the Ripper. Blending bits of Lovecraftiana with a confident narrative voice, Grau's Ripper is a misunderstood defender of mankind, constantly on the hunt to slice away the darkness. Orrin Grey's Ripperology, as mentioned earlier in the review, offers some insight into what makes the Ripper so special among serial killers. These ideas are woven into a narrative about a friendship between true crime authors. Hell Broke Loose by Ed Kurtz is a look into why the Ripper does what he does, and if anything is a prequel story in the Ripper saga. The protagonist of the story, Blake Prentiss, is a broken-hearted mess of a man who finds himself entwined with the brutal murders of local girls in 1885 Austin, Texas. Edward Morris and Joe Pulver both take inspiration from Harlan Ellison's famous anthology Dangerous Visions, which included two connected Ripper stories. Robert Bloch's A Toy For Juliette sees a sadistic woman and her grandfather pull Jack into a dystopian future setting, while Harlan Ellison's The Prowler in the City at the Edge of the World acts as a sequel. Edward Morris explores this theme of dislocation with Where Have You Been All My Life? In this story, Jack wakes up with amnesia far from home. Joe Pulver's Juliette's New Toy is a short piece told in Pulver's disjointed, poetic style. Pete Rawlik's Villains, by Necessity throws Jack the Ripper, The Strange Case of Dr. Jekyll and Mr. Hyde, Sherlock Holmes, Fu Manchu, and many other turn of the century literary figures into a literary blender to produce a very short, very pulpy story that reads like the beginning of a much larger piece. When the Means Just Defy the End creates a sympathetic Ripper with understandable motives, but loses steam when it veers into ghost-story territory. Stanley C. Sargent does a great job at giving readers a glimpse into the truly unpleasant and disturbing childhood memories of the killer. One of the darker stories in the collection, Mercedes M. Lackey's A Pretty for Polly paints an unforgettable portrait of a madman. Over the course of the story, the killer's mental state deteriorates further and further, leading to an unforgettable ending. Laird Barron's Termination Dust is the one story in the anthology that is not overtly about Jack the Ripper. Instead, Barron sets his slasher tale in a small, isolated Alaskan town. During a blizzard, someone goes on a killing spree. The story is not only an unreliable narrative, but it even tells the reader that it is. The answers are not laid out neatly, making for an interesting puzzle piece of a story, demanding re-reads. Barron's story has the distinction of being the best of the bunch, hands down. By taking some of the Ripper murder themes and turning them into an otherwise unrelated narrative, Barron's tale stands out as perhaps the most original piece in the anthology. Tales of Jack the Ripper marks a strong debut for Word Horde. Lockhart, in usual fashion, has managed to put together a strong, multifaceted anthology that explores the Ripper legend at length. If this book is indicative of what's to be expected from his new press, than readers have much to look forward to. When I read a thematic collection, I look for three main ingredients: quality stories, a wide diversity of stories, and stories that prove their authors possess an awareness and appreciation of the tradition in which they are writing. This collection delivers wholeheartedly on all three. I enjoyed some stories more than others, but I truly loved some of them, and only one was a disappointment. I salute editor Ross E. Lockhart for doing an admirable job. This is a superior achievement. Here's the When I read a thematic collection, I look for three main ingredients: quality stories, a wide diversity of stories, and stories that prove their authors possess an awareness and appreciation of the tradition in which they are writing. This collection delivers wholeheartedly on all three. I enjoyed some stories more than others, but I truly loved some of them, and only one was a disappointment. I salute editor Ross E. Lockhart for doing an admirable job. This is a superior achievement. Ann K. Schwader's "Whitechapel Autumn" sets the perfect tone for this volume, ominous and mournful, brooding on the horror of the Ripper's deeds. "Nothing grows but woe on Mitre Square," indeed. Clark and Braunbeck's "A Host of Shadows" shows the last days of the Ripper, now 82-year-old pioneer in neurophysiology Dr. Howard Faber of Knoxville, TN. Paralyzed and dying, Faber experiences a disjointed and jarring patchwork of reality, memory, and hallucination. His son Wayne's choice to end his father's life brings pathos and irony to Thoreau's notion that "one true selfless act" "can erase thousand small hurts." Ramsey Campbell's "Jack's Little Friend": "It's afternoon when you find the box. You're in the marshes on the verge of the Thames below London." Perhaps it's not the most original story about what possessed Jack (and may in turn possess you), but it's chillingly, vividly told. Silvia Moreno-Garcia's "Abandon All Flesh" is a poetic exploration of a girl named Julia, her fascination with a waxwork likeness of Jack the Ripper, and her coming of age, after a fashion (a dark and disturbing fashion). Darkly beautiful. Joe R. Lansdale made my flesh crawl with his descriptions in "God of the Razor." While the plot itself is rather derivative, the execution (if you'll pardon the pun) is quite effective at creating a nightmare-like atmosphere. Ennis Drake's "The Butcher, The Baker, The Candle-Stick Maker" is the kind of story I was waiting for; it follows a contemporary copycat killer fixed on committing tribute murders during the quasquicentennial anniversary of the original (here identified as Sickert's) atrocities. Told from the point of view of the contemporary copycat, this is both horrifying and mesmerizing in the parallels it makes. Very well done. Walter Greatshell's clever "Ripping" delivers on its promise: "Come on, who wouldn't be excited to see a new film by Alfred Hitchcock? Or if not that, at least a film crassly purporting to be that?" It's complete with a twist ending. I think Hitch would have approved. "Something About Dr. Tumblety" is a refreshingly different take on the notion of overcoming one's genetic heritage (or family curse, whether real or simply imagined). Patrick Tumblety delivers both genuine fear and genuine hope. T.E. Grau's "The Truffle Pig" alone is worth the price of admission, as it were. This nightmarish piece reveals Jack the Ripper and H.H. Holmes to be two faces of the same creature - and he's the good guy! - pitted against dread forces of the Lovecraftian mythos. There is a method to the madness of our protector, it seems. Fantastic. "No theory, no proof, will ever quench men's thirst for the Ripper legend, because the Ripper can never be contained by any one suspect, or conspiracy, or narrative. In Madame Tussauds' Chamber of Horrors he is represented only by a shadow, the last and final word on the Ripper's legacy." Orrin Grey's "Ripperology" is a well done meditation on Jack through the study of some of his other (far later) victims. In "Hell Broke Loose," Ed Kurtz cleverly suggests the Servant Girl Annihilator, who preyed on the city of Austin, Texas in 1884 and 1885, made his way to London to become Jack the Ripper in 1888. It's an effective blending of true crime histories and imagination. As I said, one of the things I most like to see in anthologies (beyond variety, which this book does well) is an awareness/respect for the tradition in which the authors are writing. Edward Morris's "Where Have You Been All My Life?" and "Juliette's New Toy" by Joseph S. Pulver, Sr. offer spine-tingling homages to the greats, Harlan Ellison's "The Prowler in the City at the Edge of the World" and Robert Bloch's "A Toy for Juliette." Brilliant! "Villains, by Necessity" by Pete Rawlik accomplishes a great deal in a very few pages, drawing in iconic characters such as Professor Moriarty and Fu Manchu to combat Saucy Jack, who may be the spawn (figuratively and literally) of an experiment conducted by a certain Dr. Jekyll. Quite nicely done. Stanley C. Sargent's "When the Means Just Defy the Ends" is definitely the weak link in the chain. It can't decide if it wants to be a psychological study of the murderer and his reasons for his crimes or a paranormal revenge tale, and it does neither well, and utterly fails in the "show don't tell" department in the process. Sigh. Mercedes M. Yardley produces great chills for such a short story as "A Pretty for Polly," which tracks the descent into madness of a man who both detests women and adores his little daughter. Quite effective. "Termination Dust" by Laird Barron goes in a completely different direction, suggesting that evil (and our fascination with it) never dies, and drawing a very subtle comparison between the insular lives of those who braved the Alaskan north in the late twentieth century with those who found themselves in the equally clannish and forbidding landscape of East London in the 1880s. It's relationship may be somewhat tangential to the theme at times, and I wished he'd addressed the gendered nature of the original Ripper violence more directly, but it left me thinking. "Once November" by E. Catherine Tobler is a close second to "The Truffle Pig" as my favorite story in the collection. Who really died in Mary Jane Kelly's bed? A brilliant explanation for why Kelly was sighted after the murder. Haunting in every possible way. 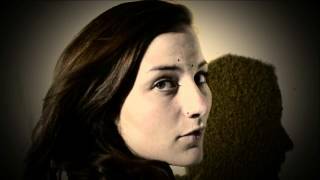 Ann K. Schwader's painfully beautiful "Silver Kisses" ends this with the ideal dose of poignancy and horror. Full Disclosure: This volume contains my story "Ripperology." 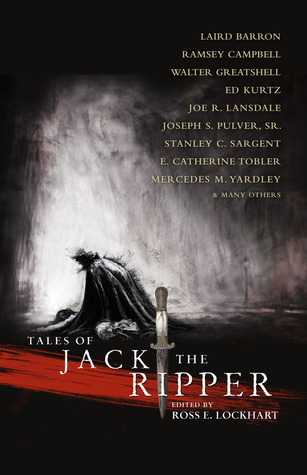 Tales of Jack the Ripper is the first anthology from Ross Lockhart's new Word Horde imprint, and even if I didn't have a story in it, I'd say that it's an incredible, confident move out of the gate for one of the best editors working in the field of weird and supernatural fiction. Not that every story in Tales of Jack the Ripper falls under the rubric of "weird" or "supernatural," but the anthology as a whole definitely has that vibe. T Full Disclosure: This volume contains my story "Ripperology." What I appreciated most about this anthology was the breadth of the stories. I wasn't sure if I would actually enjoy a book entirely themed around Jack the Ripper. I was fascinated by Silvia Moreno-Garcia's "Abandon All Flesh" and its combination of the classic legend, the wax Ripper, and older, darker tales. In some ways, it made me think of Lovecraft's "Horror in the Museum." "Ripperology" captured the more academic side of my imagination and I plan to reread it. Given the premise, I was quite What I appreciated most about this anthology was the breadth of the stories. I wasn't sure if I would actually enjoy a book entirely themed around Jack the Ripper. I was fascinated by Silvia Moreno-Garcia's "Abandon All Flesh" and its combination of the classic legend, the wax Ripper, and older, darker tales. In some ways, it made me think of Lovecraft's "Horror in the Museum." "Ripperology" captured the more academic side of my imagination and I plan to reread it. Given the premise, I was quite surprised by how much I liked "A Host of Shadows." Others which hold my imagination a week after I finished include: "A Pretty for Polly," "Villains by Necessity," "Jack's Little Friend" (which is another I wasn't sure at the outset that I'd like), and "Hell Broke Loose"
Barron's "Termination Dust" is one which I know I'll need to read at least two more times to begin to put together, but it was a fiercely-evocative tale of death and isolation. Of the stories, it was the one I looked forward to the most, as it's the first I've read of his set in his native Alaska instead of the Pacific-Northwest or abroad. TALES OF JACK THE RIPPER is a great collection of works from many different points of view regarding the infamous Jack the Ripper. Some of my favorites are "A Host of Shadows," "A Pretty for Polly," "Hell Broke Loose" and "Once November" but every single work in the anthology is entertaining, you won't be disappointed with this purchase. Is there anyone who reads genre fiction who isn't in some way interested in, if not obsessed with, Jack the Ripper? Jack, or versions of him, has appeared in mystery fiction, science fiction, fantasy and of course horror ... and I wouldn't be surprised to learn he's appeared in western stories too. Lockhart's volume contains only five reprinted stories; the remainder are new additions to the lore of Bloody Jack. Some are about Jack himself, some about his legacy. Some are stronger than others. Is there anyone who reads genre fiction who isn't in some way interested in, if not obsessed with, Jack the Ripper? Jack, or versions of him, has appeared in mystery fiction, science fiction, fantasy and of course horror ... and I wouldn't be surprised to learn he's appeared in western stories too. Lockhart's volume contains only five reprinted stories; the remainder are new additions to the lore of Bloody Jack. Some are about Jack himself, some about his legacy. Some are stronger than others. But I suspect any Ripperologist (to steal the title of Orrin Grey's story) will find multiple reasons to enjoy this anthology. The book begins and ends with poems by Ann K. Schwader. The volume's prose starts with one of many stories that reveals Jack as a real, flawed, human ("A Host of Shadows" by Alan M. Clark and Gary A. Braunbeck), followed by one of the many that paints Jack as a malevolent spirit infecting individuals ("Jack's Little Friend" by Ramsey Campbell). These two stories set the tone of the book: dark and with a bit of a split personality, just like the legend that inspired it. The reason most of these tales are so effective is that any one of them could be true. Again, as Orrin Grey has a character say in his tale, "No theory, no proof, will ever quench men's thirst for the Ripper legend, because the Ripper can never be contained by any one suspect, or conspiracy, or narrative." I wouldn't want to be caught dead without a copy of `Tales of Jack the Ripper' from Word Horde. Needless to say, Ross E. Lockhart has brought us another brilliantly alchemized collection of tales. These stories will have you feverously flipping pages in a hungry suspense--each holding that `one more page' grip that established readers search for. If you thought you knew all about dear ol'Jack, think not again, but 19 more times! From the sensation of a skipped-heart beat behind heated skin, the I wouldn't want to be caught dead without a copy of `Tales of Jack the Ripper' from Word Horde. Needless to say, Ross E. Lockhart has brought us another brilliantly alchemized collection of tales. These stories will have you feverously flipping pages in a hungry suspense--each holding that `one more page' grip that established readers search for. If you thought you knew all about dear ol'Jack, think not again, but 19 more times! From the sensation of a skipped-heart beat behind heated skin, the all-mighty cringe, a raised brow and squinted eye, to the purest form of empathy, this fine collection will leave you anything but disappointed. I know my fair share of Jack, but these stories are really above and beyond all I had preconceived. Not only are they to die for, but they are even written by some of the best in our era of fiction--Laird Barron, Ramsey Campbell, Joe R. Landsdale, and Stanley C. Sargent, just to name a few. What adds to the awe of this collection is that most of these pieces are debuting in this anthology! If you are on the line because of repeat stories, discard that thought because there is a small boat-load of fresh fiction. Even more to add is the praise Ross. E. Lockhart has acquired from his previous anthologies `The Book of Cthulhu 1 & 2', which are must have works for Lovecraftian fellows. Another book that's making me revisit my policy of reserving five stars for books that everyone should read regardless of whether they are usually interested in the genre--because by any other metric, this would be a five-star book. It's thoughtful, strange, creepy, weird, clever--it ranges from layering strange new meaning onto the quasquicentennial-old events to reinterpreting them in new settings to addressing just what can develop out of a driving obsession with Jack. Seriously worth picking up, for those with an interest in the Ripper, fans of horror, and those who enjoy the supernatural mixed with their crime fiction. From the synopsis, as well as this fantastic tor.com publication (I didn't finish it, as there are many spoilers,) Word Horde publisher and author, Ross E. Lockhart, has put together one heck of an anthology, with a lot of great talent. Check it out. This was an impulse buy for me. Saw it on Amazon. Realized that I hadn't read anything like this for Jack the Ripper, and decided I was going to get it for my Kindle to give it a shot. I'm not sure how much I really enjoyed it. In any anthology, there are hits and misses. To me, this one had more misses than hits. And I call them misses when they don't provide what This was an impulse buy for me. Saw it on Amazon. Realized that I hadn't read anything like this for Jack the Ripper, and decided I was going to get it for my Kindle to give it a shot. In any anthology, there are hits and misses. To me, this one had more misses than hits. And I call them misses when they don't provide what I wanted them to be. As you'll see below if you decide to read more that my biggest complaint was that I wanted more from them. More details, more of a real ending, more explanation. Overall, this book earned 3.4. Possible spoilers could be below. A Host of Shadows - 4/5: A good case of son being like the father. Jack's Little Friend - 2/5: Not a huge fan of second person, and it wasn't done in an interesting way for this short story. It was just an okay tale. Abandon All Flesh - 2.5/5: It was an odd story, I have to say. Very odd. It held promise if it actually had a touch more detail to it, more insight. I did like the mix of it with ancient rituals and I wish there had been more elaboration to it. God of the Razor - 3/5: Another interesting story that mixed the legend of Jack the Ripper with something supernatural. This time, I felt it was better done since it had more meat to the writing. The Butcher, The Baker, The Candlestick-Maker - 5/5: It reminded me almost of the show Whitechapel. A modern person killing as Jack the Ripper, except, unlike the show, it was in the point of view of the killer. Excellent writing. Ripping - 4.5/5: For once I enjoyed the lack of details besides the dialogue. It was all the story needed, really. It was an interesting twist at that to the common assumption of Jack the Ripper. I did enjoy it. Something About Dr. Tumblety - 4/5: Still a very interesting story, and it included a bit of history about a suspect that I personally didn't know about. The Truffle Pig - 3/5: Loved the ending allusion to H.H. Holmes. Ripperology - 3/5: Good writing, but I couldn't personally see the point of this short story. It felt lacking and it was just really a musing rather than a real story that I was looking forward to. Hell Broke Loose - 4.5/5: I love psychology and this story was chock full of it. A good short story that involved two real murders that took place in the 1880's, and put them together in a way that really was good. Where Have you Been All My Life? - 3/5: Lacked something. whole story felt like the opening to the real one. It was interesting, and I do wish that there was more. Juliette's New Toy - 4/5: I loved the broken prose of it, yet this one lacked in something as well. Another opening that I felt could have been expanded. Villian's, by Necessity - 2/5: I didn't really see the point of this one. When the Means Just Defy the End - 4/5: I loved the back story for this one. Long, but not tedious, and interesting. Enjoyed the profile of Jack that a lot of people take credence to. A Pretty for Polly - 3.5/5: The descent into madness was written brilliantly and I really enjoyed the twist to it. Termination Dust - 2.5/5: I thought this one would never end. The whole time I read, I was waiting for it to become apparent to why this was included in the anthology. Only real reason I can come up with that is the theory the author blatantly used of (view spoiler)[Jack being within every single killer out there (hide spoiler)]. It's not always easy for authors to make such a well-worn, popular trope in a particular genre seem fresh or new, or interesting to readers who feel as though they know the story already and what other angles could there possibly be? The authors in this anthology, a healthy mix of veterans mingled with up-and-comers, as it turns out, all have creative re-inventions and for the most part manage to put their own spins on the facets of the Jack the Ripper stories and legends, which makes for some v It's not always easy for authors to make such a well-worn, popular trope in a particular genre seem fresh or new, or interesting to readers who feel as though they know the story already and what other angles could there possibly be? The authors in this anthology, a healthy mix of veterans mingled with up-and-comers, as it turns out, all have creative re-inventions and for the most part manage to put their own spins on the facets of the Jack the Ripper stories and legends, which makes for some very interesting and good quality reading. Of course, those with a penchant for fictional Jack the Ripper tales will devour this anthology, which will definitely quench their appetites, but even those who wouldn't normally think of picking this up or just look at the title and think to themselves that they're not into Ripper stories so they'll skip this one should elect to read it. I'm by no means an aficionado of Jack the Ripper, and although I enjoyed "From Hell" I wouldn't say that I'm a Ripper fanatic or anything but most of the stories in this anthology were of such a good quality that I enjoyed it in spite of that. Highly recommended reading. An excellent collection of Ripper stories. The individual writers have a very liberal interpretation of the theme, and that works here. Who wants to read an endless series of faux-Victorian Ripper pastiche? No matter how well written each story might be, the overall effect would pall. No need to worry that this might occur in this collection. Our "Rippers" are not restricted to being male, adult and within the Victorian period - they are not even restricted to being human. There are some names you An excellent collection of Ripper stories. The individual writers have a very liberal interpretation of the theme, and that works here. Who wants to read an endless series of faux-Victorian Ripper pastiche? No matter how well written each story might be, the overall effect would pall. There are some names you will recognise if you are into horror stories, and others that you may not recognise. But the quality of the stories throughout is consistent. At no time did I read a story and wonder "Why did they include that stinker?" Of course there were ones I enjoyed more than others - there always is - but that is due to personal taste, not a lack of quality in any story. An interesting collection of stories, all loosely based on London's most famous serial killer, The reader gets to examine the killings from various viewpoints including those of the victims and the man himself. There are also a couple of interesting stories set in locations other than gaslight London. Ross E. Lockhart is a megaphone of an anthologist, broadcasting the best voices Horror and Weird fiction has to offer. Proof of this can easily be found in his Books of Cthulhu I and II, and this gem of a collection, Tales of Jack the Ripper. Anne K. Shwader opens this anthology with an ominous little poem that plunges like a knife in your chest, and the beauty and brutality never lets up. These stories are diverse, and come from writers with distinct voices putting new spins and perspective to th Ross E. Lockhart is a megaphone of an anthologist, broadcasting the best voices Horror and Weird fiction has to offer. Proof of this can easily be found in his Books of Cthulhu I and II, and this gem of a collection, Tales of Jack the Ripper. These stories are diverse, and come from writers with distinct voices putting new spins and perspective to the Jack the Ripper mythos. I mean, somehow Joseph S. Pulver brought the Funk to Jack the Ripper with Juliette's New Toy. Laird Barron's Termination Dust reads like a modern Slasher, very well laid out, and intelligent. T.E. Grau's The Truffle Pig directly linked Jack the Ripper to Lovecraft's Mythos--and beautifully executed it. Mecedes M. Yardley killed it with a tough, but beautiful Neo-Noir style with A Pretty for Polly. When the Means Just Defy the End by Stanley C. Sargent, I think, centerpieces this collection. A classic that puts a sympathetic spin on Jack, with plenty of ghosts and violence but will definitely pull on one's heart strings. There's not a dud in here, every one is different and beautiful. I won this on goodreads in a giveaway. It pains me to give it less than five stars, but it was a very uneven collection. I've always been fascinated with what could be considered the world's most famous unsolved mystery. After reading this collection of short stories and poems, I think I'll stick to non-fiction treatments. That's not to say that this isn't worth picking up, but if you're a fan of pure Ripper lore, skip this. A few entries are very good. So good, I was disappointed when they ended. I won this on goodreads in a giveaway. It pains me to give it less than five stars, but it was a very uneven collection. A few entries are very good. So good, I was disappointed when they ended. Some are okay, with only a passing connection to Jack, and a bit too long because of that. A couple were straight up "huh?" territory. One thing that stood out for me (and took me out of the pleasure of reading a bit) was how often short stories seem to need to have some special twist at the end. Had a couple of absolute crackers, a few that were so literary and impressionistic, I wasn't sure what was going on, and a few in-betweeners. Quite a good collection of stories, and several poems, inspired by the history and legend of Jack the Ripper. A couple are rather weak but most are good and some are very good. It would have been better if the editor had included some commentary on each story or author notes on each of the contributors. It's going to be three stars, even when Laird Barron's and T.E. Grau's deserve a lot more. Their tales are no match for Ramsey Campbell supremely wicked "Jack's Little Friend", though. No surprises: the only gems come from the familiar names (Campbell, Lansdale).